To keep myself occupied until that time, I have been finishing UFOs. Two quilts will be heading off to be sandwiched this week, a Halloween wall hanging and a baby quilt. 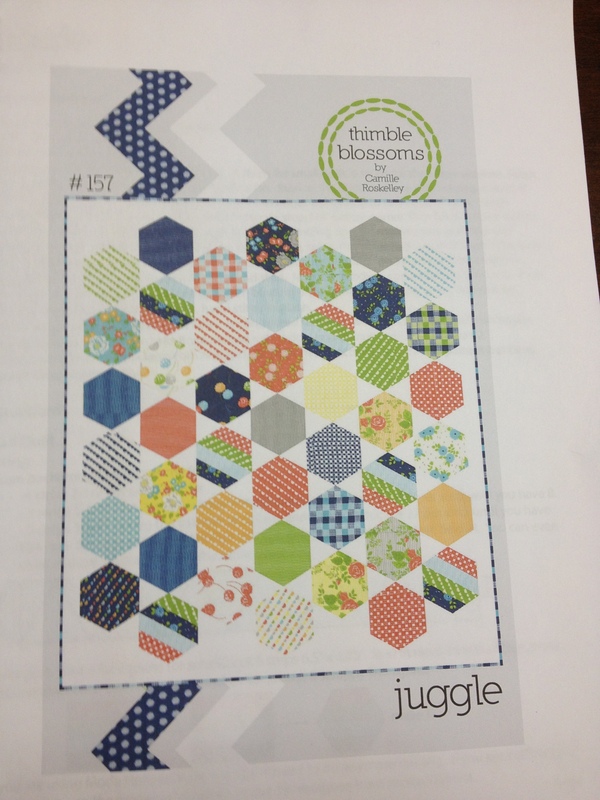 Add in two table runner projects, plus the stunning Juggle quilt below (by Camille Roskelley). I also got the material for my Halloween costume. It’s a surprise, so I won’t post photos of it until after the big reveal. I have been running too, just a bit. My monthly jogging stats were emailed to me today. In August, I ran over 74 miles! Woohoo! I also added Hip Hop Abs to my workout routine. Wheat Belly has been my book du jour. I’m trying to cut wheat out of my diet, and doing fairly well, but English muffins always lure me back. Soda is my other vice. Damn you delicious elixir, Coke! How can I live without your fizzy delight? I’ll keep you updated on what gives out first…my knees, my sewing machine or my iron-clad will. Definitely the will power. 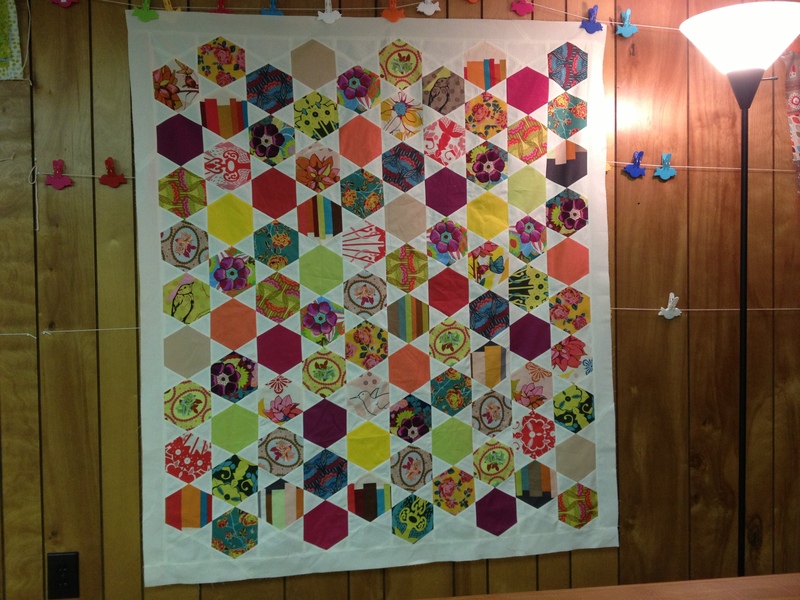 This entry was posted in Anna Maria Horner, art, Birds, Gift ideas, Halloween, Halloween costume, holidays, Quilt, Quilt blocks, sewing, Strip quilting and tagged Camille Roskelley, Halloween, hexagons, jogging, Juggle, quilt, quilting, Wheat Belly. Bookmark the permalink.